Last year, I pinned many handmade Christmas ideas on Pinterest but didn’t quite have the time to make ANY of them. Well, that has definitely changed this year! Over the last couple of weeks, I have finished a few handmade christmas projects. I am very eager to share them with you and hope to show many more over the coming weeks. However, I think we will all have a few post-Christmas posts scheduled to show the gifts that we can’t show before Christmas…just incase any surprises are revealed! The first project started quite a few weeks ago and has taken me a lot of time of on/off crocheting! These little crochet Christmas sets for Santa & Rudolph are from the Molly Makes Handmade Christmas book. I am still new to crochet but found these instructions easy to follow, and I’m very pleased with how they have turned out! A couple of these sets have gone to the UK for Christmas presents, and we have kept one too! These are quite light as a set but are quite bulky so they did cost quite a bit to send back to the UK. For this reason, I went in search of something that would be a nice handmade Christmas gift but would easily fit inside an envelope, and would be cheaper to post. 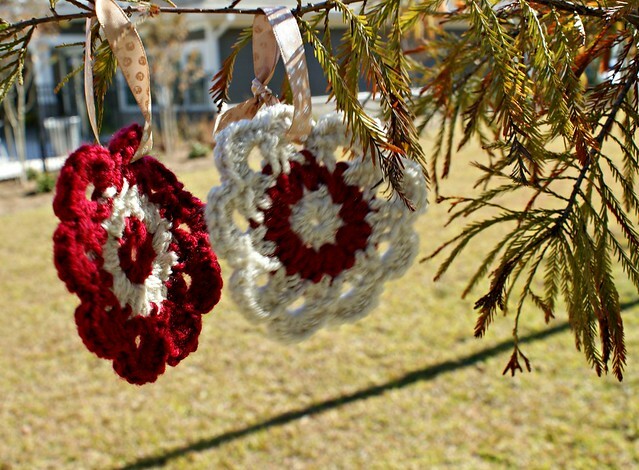 I spent quite some time looking at crocheted Christmas decorations. The first couple I tried were variations of a star, I just could not get them to be equal and even though Adam said they looked ok, I wanted them to be symmetrical and they were not! I then found this tutorial from Lauren at Daisy Cottage Designs. I chose to use colours that were a little festive and made them in alternate colour ways. These were simple to make for a beginner crocheter and could easily be done in front of the tv! 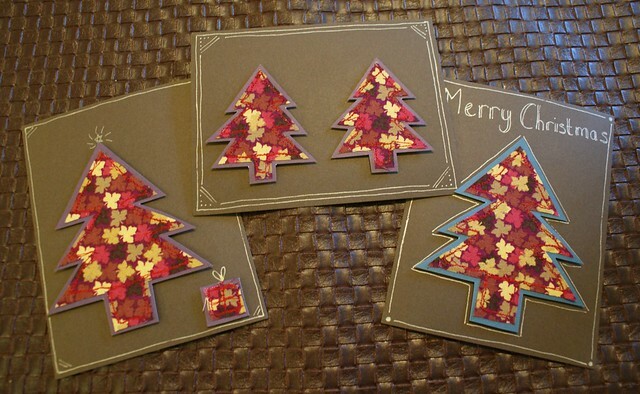 I then finished off the week with some handmade Christmas cards. 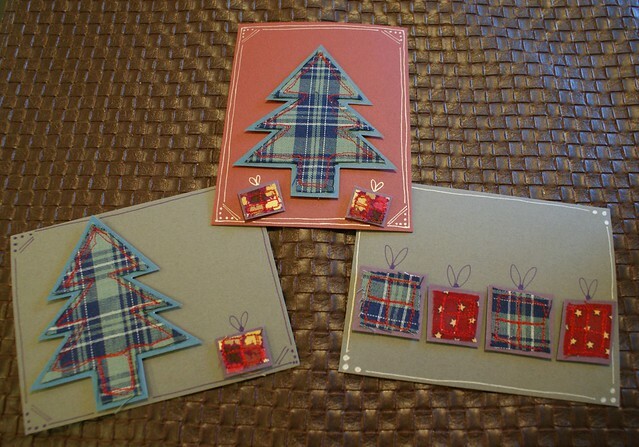 I really liked the idea of sewing fabric onto card so made a couple of different designs using fabric and thread. The others I made were just drawings/ designs from Pinterest that I combined together. 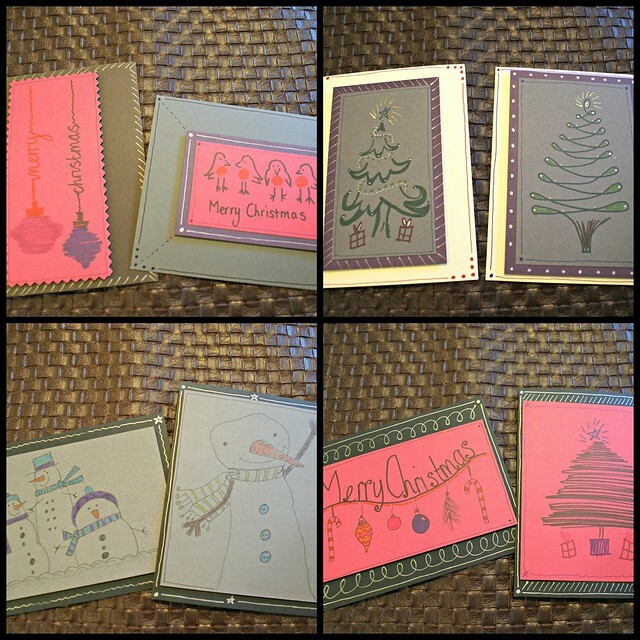 I am not an artist but enjoyed making these and I think they are ok as handmade cards. I prefer the fabric ones but if you have a go at these, be prepared for a sticky needle if you decide to glue the fabric onto the card first! These was so cute !! And it looks like fun to make. Pingback: Talented Tuesday Link Party #5 - Cook. Craft. Love.